After a brief, unfulfilling relationship with EndNote I switched to Zotero some time ago and I’ve never looked back. 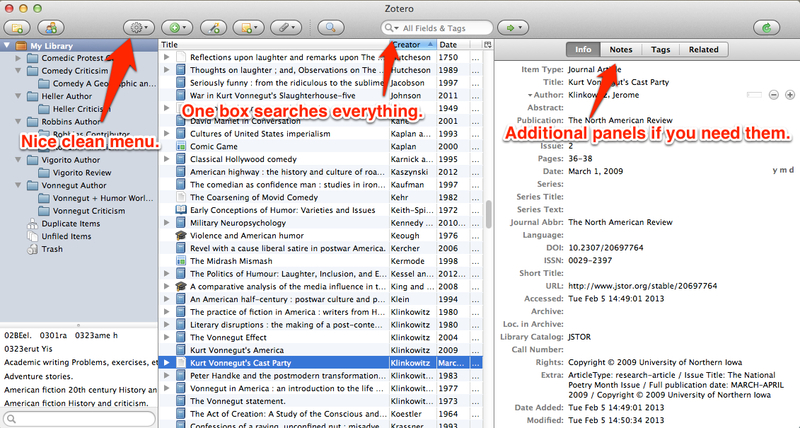 The following is a bit about how Zotero works, and how I make Zotero work for me. Zotero stores citations in the cloud which you can then access and organise through a desktop version. EndNote does have a web version, but it felt almost incidental to the desktop version. With Zotero it is completely integrated. You make a change on your computer, it appears in the online version straight away, and vice versa. I feel like this is the appropriate juncture to mention that I don’t really know how to work EndNote. I found it clunky and dated and ugly and I happily and readily gave up on it when I found a shinier alternative. I’ll try not to compare them further, but allow me this. The integration with Word is just as clean and simple. There is a Word PlugIn that installs a very simple menu. You can generate a bibliography, change referencing styles, whatever you like. It’s free to download. The first 300mb of storage comes free and extra space is available for purchase, starting from $1.67 a month. However my current 350+ item library takes up less than 3% of my quota. I won’t be buying extra space for a long, long time. The supporting documentation is well written, up-to-date and presented with all the modern conveniences of a web-based citation manager including video tutorials. However I have rarely needed to refer to these resources. This software is well designed and incredibly intuitive. Hi Rachel, just wondering how did Zotero work out for you. We would love to hear. Mmm, still haven’t approach Zotero. Struggling with endnote as I can’t get the latest versions…for this I would need to purchase a new computer which can take the latest software. I really need to look into this properly and see what my options are. 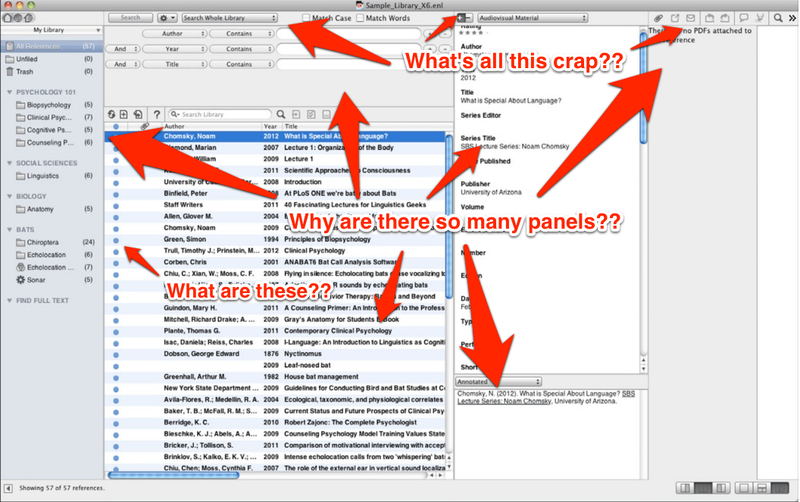 Is there anyone else working on an old mac & using either Zotero or Endnote? I’d love to hear the advantages/disadvantages of each? Ideally I would like to buy a new mac and get all the latest software so that I can make life a bit easier for myself. Any ideas on how to get funding?? ?